Numeron Restaurant, A-1, Shivalik Business Center, Nr. Rajpath Club, Off. S.G.High way, Ahmedabad. 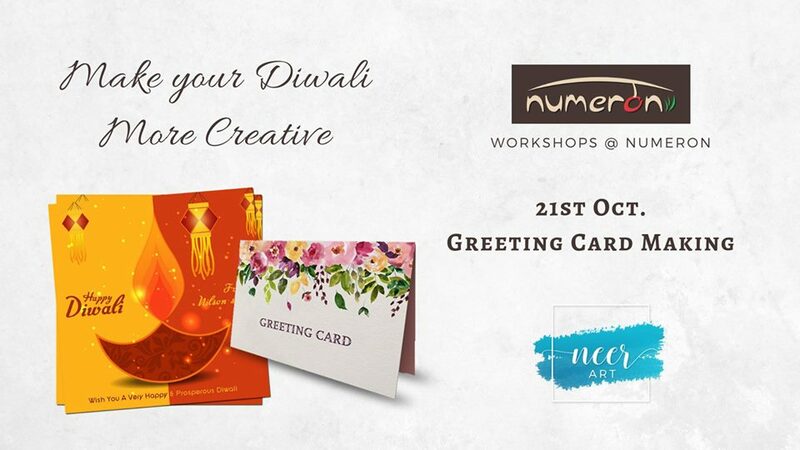 As Diwali is quickly approaching you begin to think about Diwali Cards or perhaps easy festive gifts, learn with us easy and fun ways for making Diwali Greeting Cards. Date – 20th Oct. 2018, Saturday. At the Event, participants will make & take 2 handmade greeting cards and ideas to create more. All the supplies will be provided by us inclusive of 2 envelopes for the cards. No Experience or Supplies required!